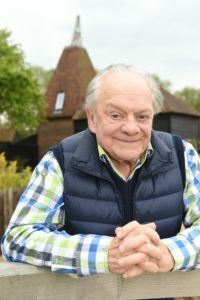 Sir David Jason is heading off on a trip along the west coast of America by road, rail and air exploring both the rich heritage of iconic American transport and glimpsing the high-tech future on offer for a new TV series. Train buff, one-time mechanic and pilot Sir David Jason will embark on an epic month-long journey in this special travel documentary series. It will take him north to south, from Seattle to Los Angeles, travelling on the iconic Amtrak Coast Starlight train. It’s the biggest and best train he’s ever been on, hugging the majestic west coast of the USA in all its 28-stop, 1,300-mile glory; truly the realisation of his lifelong ambition. This all-American travel experience captures numerous pit stops and excursions along the way as David disembarks for a series of encounters discovering the unique, pioneering history of the West Coast. A huge fan of all things mechanical, David also time travels between experiencing astonishing feats of engineering of the past to cutting edge technology of the near-future – everything from riding 100-year-old cable cars and Harley Davidson motorbikes, to flying on a legendary DC3 vintage airliner, driving the latest American Super Truck and investigating the prospect of sub-orbital space flight. 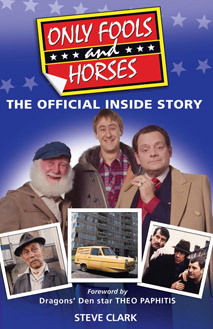 WARNING: Beware “fake” poppies being sold on eBay	Only Fools And Horses is back – and this time it’s musical!